February 15, 2018 June 7, 2018 by Anya Light, posted in More Goodies! What would our world be like if we could all just sit with our sadness? What would our world be like if world leaders frequently took time off to sit by the river and meditate? What would our world be like if CEOs felt it was okay to cry and show vulnerability? What would our world be like if we all felt the freedom to express our authentic selves, in each moment? Dear friends, let’s imagine such a world. How do we create this new world? The journey begins with each one of us. If you’re sad, simply sit with your sadness. No need to smile. No need to run to addictive behaviors. No need to lash out and point the finger of blame at someone else. Just be sad. Don’t worry about doing anything in that moment. No need to pretend you are available to be nurturing to others when you cannot. You must fill your own glass before you can share with others. Let’s all just sit in our sadness from time to time. Let’s give ourselves permission to do that. Let’s sit with our tears. Our heartbreak. Our grief and confusion. And during those periods, if it feels right, we can phone a loved one and ask for support. We can seek a professional healer. A massage therapist. We can call in sick to work. Take an epsom salt bath. Dance naked in the living room and sweat out the pain. Play some healing music. Do whatever it takes to feel and be present. Through your commitment to your own healing journey, you give permission to the rest of the world to adopt a new paradigm of self-care and compassion. You help humanity shift. And … here’s the ironic thing. Once we are reminded that it’s okay not to smile, that it’s okay to drop our masks and be our genuine authentic selves … we often find that what is most genuine and most authentic is a clear space of love. Even when we find ourselves in the throes of anxiety and depression, what we find, underneath, if we let ourselves surrender to that space of pure feeling for just a little while, is that a vast space of love that opens up. In other words, once we give ourselves permission not to smile, we may find that, rather quickly, we are ready to smile again. Chances are, if you are reading this article, you identify as a helper, healer, caregiver, lightworker, or wayshower. You understand, intuitively, that your presence on this planet is a source of inspiration for others. You have deep compassion in your heart and want to relieve suffering. People like us, we are born to feel. Born to help. However, we must temper that natural inclination with giving ourselves permission to be authentic to ourselves and to always look after ourselves first. This is not wrong or selfish! By loving ourselves, we build and strengthen ourselves so that we may then go out into the world and use our own life as a testimony to others. As we love ourselves and set the example, it is important that we remember to tell the truth of the dark within the light. If we hold ourselves to overly strict, rigid standards about “always being positive” or “always bringing the light”, then we may inadvertently carve a mask on top of our natural face. The darkness (sadness, grief, etc.) has much to teach us about acceptance and unconditional love, too. The darkness is a wonderful teacher. In Thich Nhat Hanh’s essay “The Dandelion Has My Smile”, he asserts that forcing ourselves to smile when we feel sad is a good practice, because eventually that forcing will become genuine. While I do agree that there are certain situations in life where it’s good to stretch ourselves out of our stale comfort zones and cultivate gratitude even in the worst of situations, I also think that his advice misses the point for some of us who hold the martyr archetype or those of us who tend to over-carry for others. Indeed, I believe that we can go overboard on always feeling the need to smile. We can get hooked on “always being the shiny happy one.” We can become addicted to it, in an egoistic way, creating a split between the sad self we feel in private and the happy shiny self we display in public. This can only lead to disjointed, schizophrenic feelings of isolation and despair. As a highly sensitive person and empath, I have felt for many years that is my duty to smile and make eye contact with every person I see on the street and in public spaces. And now … I realize the fallacy of that belief. On the one hand, my intention has been good: I have wanted to use my life, every waking moment, to be a shining light, helping wake others to their own power and divinity. Such an intention has indeed brought great joy into my life. On the other hand, that day in the park was terrible. (Please see Part 1 of this article.) My obligation to be smiley felt more like a burden than a blessing. I felt like a fake, a sham. More than anything, I wanted to just hold my own hand and not speak to anybody. I wanted to just walk by everybody without a word or even a glance. This realization—about wanting to be real in public—is something that many of my friends and clients are realizing, too. There seems to be something in the air, at this time on our planet, about wanting to make peace with our emotions. Indeed, we as human beings have an aching desire to show all the parts of ourselves. Not just the shiny parts. I desperately want to show the Anya without the makeup. To show her tatters and scars. I don’t want or need to show this side to everyone, of course (especially not the narcissists or those misguided souls who delight in harming others), but I do want to show this side of me more and more to a growing number of loved ones, clients, colleagues, and intimates. I don’t want to create a false image of myself on this blog or in my life in general. I want to show the real me to you: the good, the bad, and the ugly. I want to give you the chance to embrace me for all my facets: my dark, as well as my light. I want to be real. As we awaken further and further, we dive into the deepest of questions. Who am I? What is life? What am I doing here? What is the point of all of this? As I write this article now, I am asking: Who the heck is Anya Light? As I pause to sip my tea, I smile, knowing that, ultimately, Anya Light is a label. A concept. A reference point in a sea of mysterious energy. Paradoxically, when I think of life in this way, my body relaxes. I take myself down off the hook of needing to be perfect, and I can just enjoy my life—just as it is, just as I am. Is Anya Light always blissful and bursting with light? No. Is she always compassionate? No. A fully enlightened yogini? Certainly not. I am the archetypal “wounded healer.” I have come to know healing only through intensely plunging into the depths of suffering. I have pulled myself out of some very dark holes, and I teach others how to do the same. These holes that I dealt with can be described as chronic illness, suicidal depression, and PTSD. Even though I am healthier now than I have ever been in my entire life, and even though I facilitate safe spaces for others to heal themselves, I sometimes still have relapses. The truth is: Anya Light is not always light. Sometimes I’m so fearful of this world that I hide myself in my apartment. As an empath, I get super overwhelmed sometimes. I feel too much: the terror, horror, and injustice that is unfortunately commonplace in our modern world. Sometimes I cannot comprehend or cope with it! Why would people pay good money to sit in a theater and watch violence on the screen and consider that “entertainment”? Why would people start rumors and gossip about their coworkers? Why would a parent fail to hug their child? Why would politicians steal money out of pension funds? Why would there ever be such a thing as homelessness? These are the questions I ask that I do not have answers for—and they sometimes send my head into a worried, tired spin. Sometimes … the truth is … living on this planet just seems like too much. And I lose my sense of who I am and why I’m here. But, dear friends, I don’t want to hide any longer! I don’t want to be overwhelmed by the world’s madness. I want to come out of hiding. I want to say to the world “Hey, I’m sensitive and that’s okay!” I want to show others my tears and fears. I want to hold so many hands. I want to surrender to the light that resides within, no matter how dark that light might sometimes appear to be. I want to be the change I want to see in the world. I want to reveal my vulnerability. I want to let others truly see me. As you ponder all that I’ve shared with you, I encourage you to read, re-read, and journal about the following questions. Bring them up with your friends and loved ones. Seek answers, throw out the answers, laugh, and start again. What is it you desire to experience in this lifetime? Are you willing to show your true self? What are the emotions you’ve quarantined or dismissed as “not evolved”? Are you ready to come out of hiding? Are you ready to show the light and dark within you? How do you want to affect this world? What is the more beautiful world your heart knows is possible? Are you willing to show your true face—even without the smile? Dear friends, I’d love to hear your answers to these questions in the comments. The more we can talk openly about these kinds of questions, the more we co-create the kind of world that makes us proud. I continue to feel warmth whenever I think of you, and reading this blog reminds me of that dear connection we share. I resonate so much with this — both the narrative/ dialog surrounding “imperfection” and the drive to reveal more of our unpolished, unrefined, messy selves. It is such a brave thing to say, “yep I’m imperfect. And I love me just the same”. And not in a humble brag sort of way, but from a sincere and grounded self concept. I, too, get caught in my own marketing and schtick and must rewind, step back, breathe, ground. 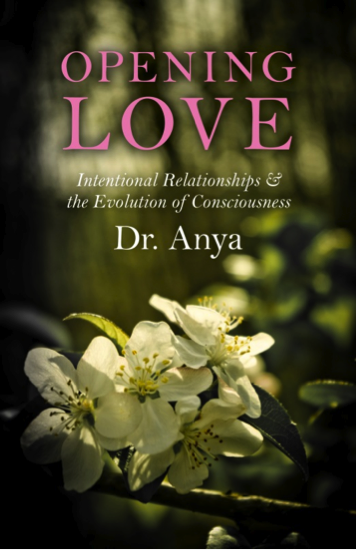 Thank you for (forever) reminding me to meditate and listen within, dear Anya. Thank you for this writing, too. I am touched by your words. Thank you. I so value the work you do in this world, Magdalena. I admire you. It’s a brave thing that you do–opening people up to the wonders of touch, sacred sexuality, and heart-driven living. I am excited that we are both on a mission to share the perfection in our imperfection with the wide world. Such good company!! PS: Magdalena, I’m curious if you might be willing to share any tips for how you stay grounded as a public figure. Do you have any advice for how to stay “real”, even though you are faced with the very real necessity of needing to market yourself (present an image to the world)? If a path weren’t challenging, it probably wouldn’t interest me much. It is true that it’s a tightrope walk, balancing my fallibility with my persona and visibility. I sometimes feel like a fraud or imposter. I’m always learning new things about myself — like the worry over budgets and schedules which used to comprise my cubicle inner monologue today looks like a miniature meltdown just before an appearance. I choose brave individuals for my inner support network. My path isn’t easy and nor is my history. It does require so much courage to soften after retreating into a hardened cold place. I still relapse like anyone on a lifelong mission. The more deeply I can meet myself, forgive and love myself, the more crystalline my message and methods. Energetic hygiene and self repair are so important for bodyworkers, healers and counselors. The container/ space I facilitate can only be as supportive and wholesome as I am. Therefore I really work at maintaining a clean instrument. Because of my early life experiences, it can be a chore to maintain my basic hunger, thirst, and rest cycles. When I feel overwhelmed or disconnected, I refer to the “houseplant with complex emotions” care guide. It usually works to realign my attitude and recover my sense of purpose. Finally, I still put in the work to be at ease and balance with me. I see a therapist and participate in two groups as a seeker. When we’re so often on our platform and message, it can be a relief to just be a person seeking homeostasis and snacks. Thank you so much for taking the time to share these self-care and balancing strategies. I employ many of the same ones myself. It’s been lovely to read about your process. I especially love your last point, about the the value of being in groups as a seeker. I recently started up with a sacred dance class, and it’s been such a relief to just go to a class and not be the facilitator! I can just be. I can just receive. As a leader and renegade, it’s often the case that I yearn to take charge. But that can get out of balance sometimes. Just like how healers sometimes can over-give, and then forget they too need the help of healers! Magdalena, I love you. Thank you so much for this exchange. As I reflect on who I am, I realize that I am reluctant to be myself with others outside of my family. I fear what they would think of me. I fear getting attached. I fear getting hurt. This goes back to your last blog post, about being vulnerable to be authentic. As such, I tend to hide who I truly am from the rest of the world. When I read your post, it made me feel like I could be myself around you. Even if we’ve never met, it is a relief to know there are people out there like yourself. Not everybody is a fake. This gives me courage to share my true self with those around me, and to be vulnerable. Thank you for your words of truth and encouragement! I would say that this act, this brave act, is you being yourself. Outside of the safety of your family. Thank you for being YOU, my dear friend. My herniated disc from last January has recovered to the degree that I’m cleared to belly dance again. Received approval one week ago. I must credit my ambition which borders on recklessness for it. My physical therapist said I was a “poster child for PT when the patient puts in the effort” on our last session. I’m a limit-pusher, in the best of ways. My caregivers and accomplices grimaced as I continued to bend and flex, even beyond my pain limits at first. The spinal injury interpreted through metaphysical lens pertains to sacred masculinity. Does God have my back? Does Tribe? Family? It became a lesson (as ever, yay) in surrender, accepting help, accepting compassionately my own limits, and honesty inwardly and out about it all. No longer can I apply my body oils daily, fix a smoothie, maintain my 130 oz hydration and get proper rest. My job is to be present, wage love, be honest and not hangry, do my best. I think of it like re-parenting myself. A close friend gave me the gift of a call-in regarding just this: my self care and self defeating tendencies, and how it didn’t match my message or teachings. Taut moment, right? Yes. And. I’ve been so privileged to move in these healing spaces and practice better relating that my defenses didn’t pique so abruptly. I’ve got acquired tools I can employ about it. I think I admitted to feeling stung, but beginning the next day, I started making different-better choices. Within a week or two I’d thanked her and she shared that she saw the change. That’s what I mean about courage. These words feel spikey to speak and hard to hear. Brene Brown’s work on vulnerability and relationship is the platform I try and move from. If we lean into this discomfort of truth telling, we demonstrate deep respect for the being before us. We trust they’re together enough to navigate this situation with us. Thank you for the engagement, Anya. It is a pleasure as always. Indeed. If we say the Truth, we are respecting the whole entire Universe.